A chic bathrobe for girls and boys. 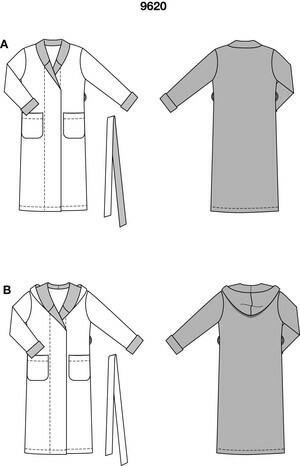 Make a cozy robe from terry cloth or a lighter summer version from piqué or cotton fabric. Choose between a shawl collar and hood, both lined with contrasting fabric, just like the cuffs.